Aspiring actors interested in saving up time and money must utilise the services of extras agency. These acting agencies basically work to match tv production houses, film producers, directors and aspiring actors with each other. They maintain a vast database of acting casting auditions and the latest job openings and on finding the right talent, they recommend them those roles. Although there are several London casting agencies, not all can be relied upon. If you are interested in availing the services of an extras agency and want to get acting casting auditions calls or acting work, look out for a great agency. It is better to call the Better Business Bureau in the area you live in and find out the agency’s rating with the Bureau. You can also contact the local film commission to find out how they have listed the extras agency and how long they have been associated with each other. Get in touch with the local production companies, casting directors, ad agencies, commercial photography studios, and theatre groups. Ask them which acting agencies they work with. Remember that no two London casting agencies are the same. Every agency is different and some have more and some less expertise in the industry. The bigger the market that the agency caters to, the more specialised it is. Do not forget to find out how much and what type of industry experience the particular extras agency has. A genuine extras agency will never guarantee you any acting work. You have to be exceptionally talented and skilled in order to get the acting work. If any agency makes big claims to you then you must better look for someone else as such an agency is only after your money and will do nothing than selling you empty dreams. Have realistic expectations when looking out for acting agencies. Find out the extra agency’s commission rate and get it in writing. 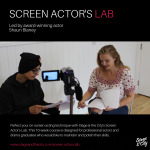 The average acting agencies usually charge 10% for extras work and 15-20% for other acting works that their clients get through them. Some London acting agencies however charge more. Be wary of overstated rates when choosing an agency.